No Sugars and No Fillers. A Great Alternative To Peanut Butter... Omega Nutrition Pumpkin Seed Butter is versatile and delicious. Peanut allergies have doubled in the past 15 years. More and more products contain nuts leaving kids without the option of having a good old peanut butter sandwich for lunch. Pumpkin Seed Butter offers them a chance to enjoy that nutty taste for lunch and it is a healthy choice! Pumpkin Seed Oil has been used for centuries in Eastern Europe, India and North America. Scientists began studying the oil when it kept popping up as an ingredient in many folk medicine recipes. What did they find? Rich in phosphorus, magnesium and manganese and is also a good source of other minerals including zinc, iron and copper. A good source of favorable plant sterols. Also a rich source of omega-6 EFA and omega-9. 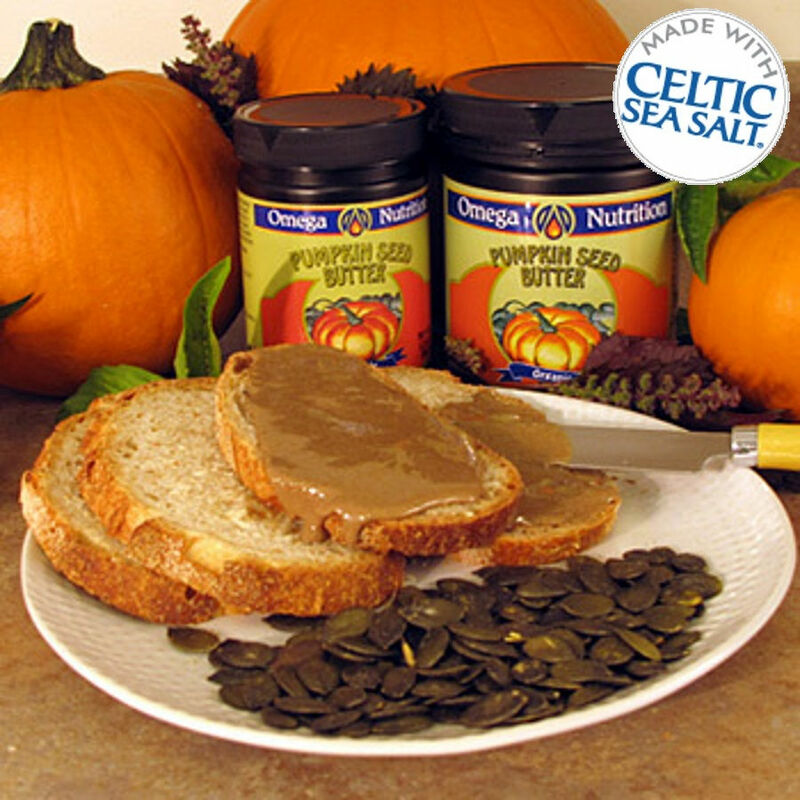 So not only is it good for you, it is simply the best-tasting Pumpkin Seed Butter around. There are no sugars added, or any kind of fillers like hydrogenated oils, starch, additives, stabilizers or artificial preservatives. The delicious flavor and rich, green colour of Omega's organic Pumpkin Seed Butter is a healthy addition to many every day dishes!